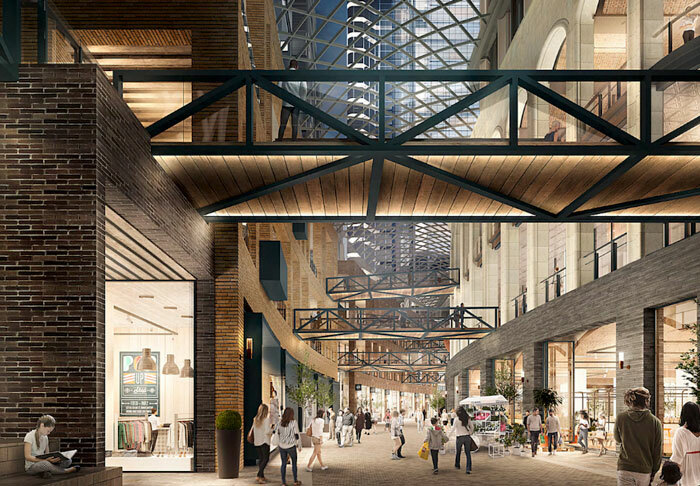 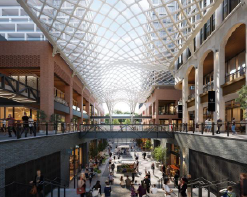 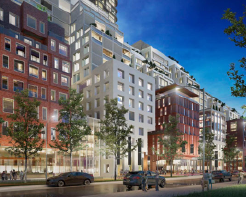 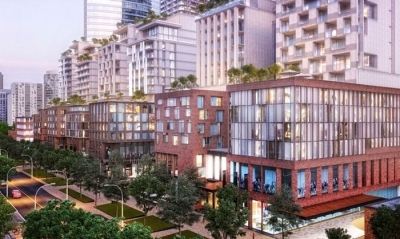 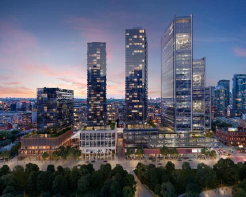 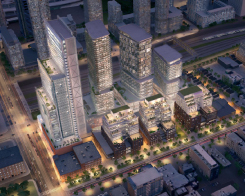 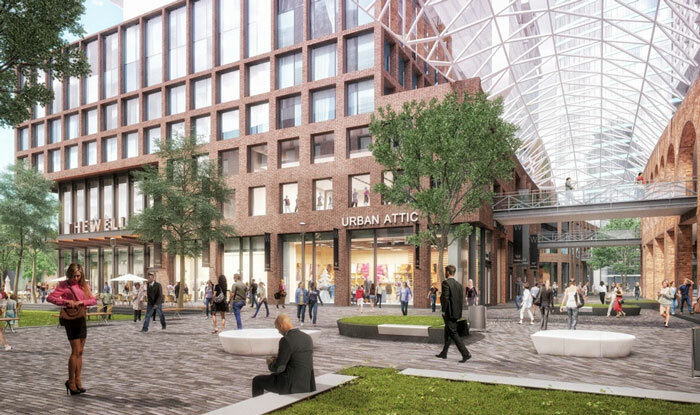 Set to be ready by 2023, this area at Front and Spadina will be home to a number of new developments including a European style market, office towers, restaurants, shopping and just under 1600 residential suites. 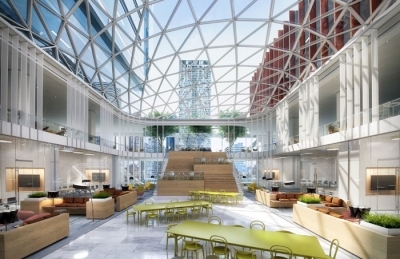 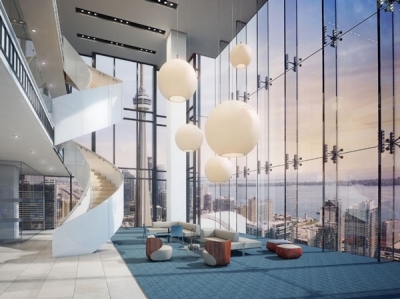 There will be 1.43 million square feet of residential space, a little something for everyone. 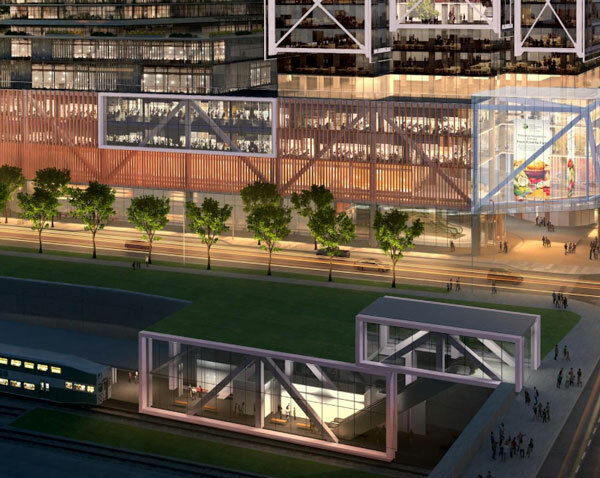 The intention of the designers and developers is to provide a place where you can live, work, and play…well. 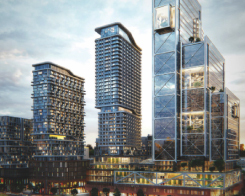 While the details are still in the works, the artist renderings depict three low-rises and three high-rises of varying heights for the residential towers. 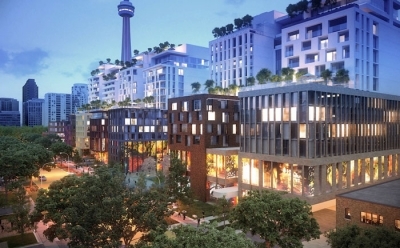 A mix of luxury condos for purchase and premium rental suites are said to total 1587 units. 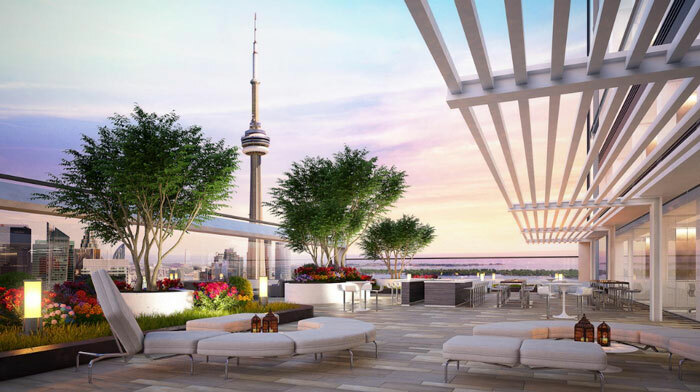 With suites set to range from 400-1200sqft in size and across the multiple towers there will be a 83 studios, 837 one-bedrooms, 283 two-bedrooms, and 114 three-bedrooms. The design of the towers feature smooth glass curtain walls with angled balconies on the east and west sides. In an effort to avoid a repetitive tower block, each one will be slightly skewed at a different angle. 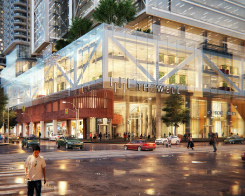 Until more details are released, you can read more on The Well Development on our Blog.